Why NO Live Captions During Online Emergency Announcements? 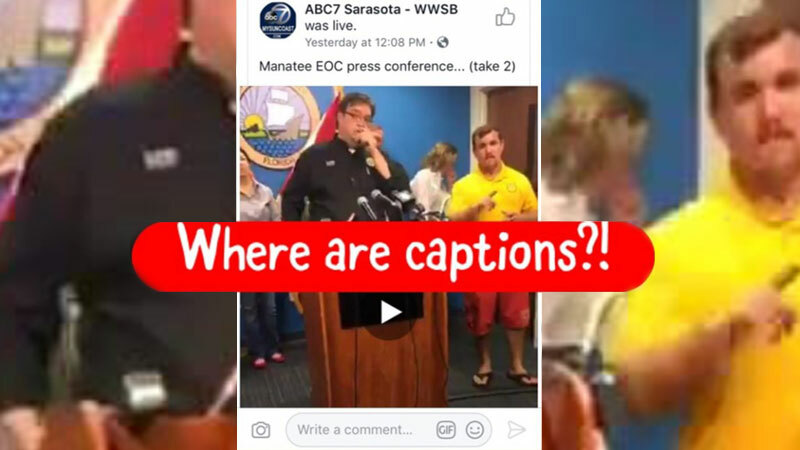 There was a video by Fox 13 News Tampa Bay via Facebook yesterday that featured a man in a bright yellow shirt what turned out to be not a professional interpreter but someone who knew some ASL. This caused a big furor in the Deaf community. accessibility, captioning, captions, communication access, deaf, Emergency, emergency preparedness, hard of hearing, hurricane, internet, news, sign language, TV.